From a brilliant new literary voice comes a groundbreaking exploration of how trails help us understand the world, from tiny ant trails to hiking paths that span continents, from interstate highways to the Internet. In 2009, while hiking the Appalachian Trail, Robert Moor began to wonder about the paths that lie beneath our feet: How do they form? Why do some improve over time while others fade? What makes us follow or strike off on our own? Over the course of the next seven years, Moor traveled the globe, exploring trails of all kinds, from the miniscule to the massive. He learned the tricks of master trail-builders, hunted down long-lost Cherokee trails, and traced the origins of our road networks and the Internet. In each chapter, Moor interweaves his adventures with findings from science, history, philosophy, and nature writing-combining the nomadic joys of Peter Matthiessen with the eclectic wisdom of Lewis Hyde's The Gift. Throughout, Moor reveals how this single topic - the oft-overlooked trail - sheds new light on a wealth of age-old questions: How does order emerge out of chaos? How did animals first crawl forth from the seas and spread across continents? How has humanity's relationship with nature and technology shaped world around us? And, ultimately, how does each of us pick a path through life? 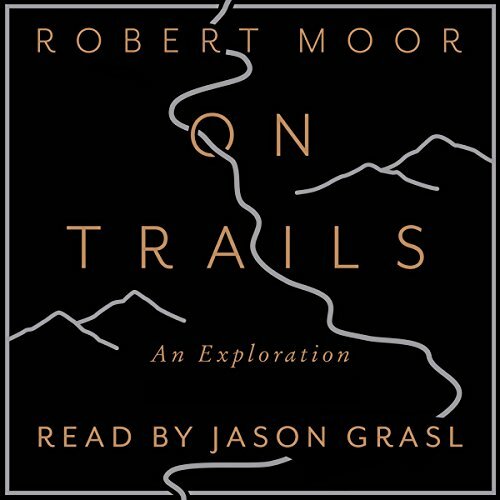 Moor has the essayist's gift for making new connections, the adventurer's love for paths untaken, and the philosopher's knack for asking big questions. With a breathtaking arc that spans from the dawn of animal life to the digital era, On Trails is a book that makes us see our world, our history, our species, and our ways of life anew. The narrator spent the whole time attempting to showboat and Treated the book as a performance reel. His insistence on using accents was already annoying, but then half the time the accent being used wasnt even appropriate to the speaker. It was very frustrating. There were additional editing errors- repeated sentences, uneven volume (normalize your sound guys). I recommend the book but not the audio. Please rethink your use of accents for quotes forever. They were at best very distracting and likely insulting to the originators of the dialogue. Otherwise this book is fantastic. I highly recommend it to anyone who gets to wondering about a topic and wants to think about all there is to know about it and how it all fits together in a bigger picture. On Trails is a well-written volume read by someone who uses accents to indicate when the author is quoting from another volume. At first this practice just seems odd because the narrator speaks in a southern U.S. accent for a number of quotations, including the words of someone I thought was a researcher in Montreal. Then he moves on to a German accent, and the whole thing just becomes annoying. This is nonfiction; it is not the narrator's job to create a character from a quotation. I hope this is not a direction in which Audible intends to move. Worth reading, not worth listening to. The narrator doesn't seem to take the subject or the people seriously. He has a tongue-in-cheek style that undercuts the text. But the worst aspect is what others have already pointed out - the narrator finds it necessary to bring life to the various people by imitating what he presumes they sound like. It is maddening to endure. At worst it even seems a bit degrading. Wonderful Book - needs a bit more audio editing! Robert Moor did a great job of digging into what trails are about. The book was a combination of history, geology, adventure and science...all related to getting from here to there. I'll never look at a trail the same way again! This book was interesting, if at times a little dry and meandering, but I recommend reading it in print if you’re interested. The audio narrator does silly, bad accents for every single piece of dialogue or even reference to what someone else said. Like... this isn’t your voiceover audition reel, Jason. This is a fine book, a really interesting exploration, as the title says, of the importance and the history of trails. If you are a walker, a hiker, or just interested in how paths have shaped our culture and landscape, you'll like this very well-written and informative book. an amazing array of insight and sited resources, his perspective is refreshing and unique. I've unfortunately added about 100 new books (he has spoken of) to the list more reading I need to do. I recommend it. This is more than just a “trail” book, actually as much exploration as trail.